Whether it's Hollywood, television (which, I guess is still Hollywood? Maybe? Whatever...), or video games, remakes are big business. Or, if not a remake, a sequel to a story that was told years ago - sometimes over a decade. Nostalgia, of course, is a big part of it, as well as returning to an idea that, clearly, had worked before. But, is that necessarily a bad thing? Despite other people online trying to convince you otherwise, there's actually nothing inherently wrong with remakes. If they were, we would have never gotten to see Brian de Palma's Scarface, John Carpenter's The Thing, or Martin Scorsese's The Departed. There would have been no U.S. version of The Office. Or Tim Burton's Planet of the Ap... OK, that one's a bad example. What I'm trying to say is that a remake doesn't just have to be a cash grab. And while movie technology has certainly advanced over the years, it pales in comparison to the leaps and bounds made in video games. Just look at Super Mario Bros. All Stars, and the difference between that collection of games and their 8-bit originals. Also, you should go play that later, as its awesome. Not all of the original 10 games listed here are necessarily good. In fact, one of them is just plain awful. But, all of them at least had potential - whether or not they lived up to that potential is a different story. But, we believe that with game technology where it is now, some great games should be able to be made out of all of them. Of course, if you have thoughts of your own regarding what games should be remade - or if it turns out that games like we're suggesting already exist, let us know in the comments section below! 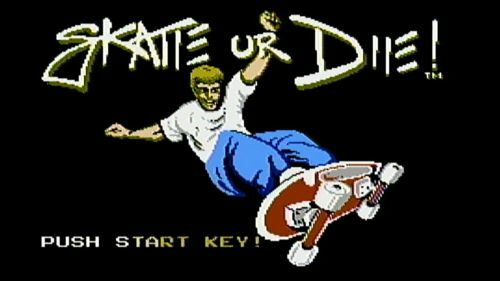 The original: One of the original skateboarding games, Skate or Die! was inspired by Atari's 720° arcade skating game. 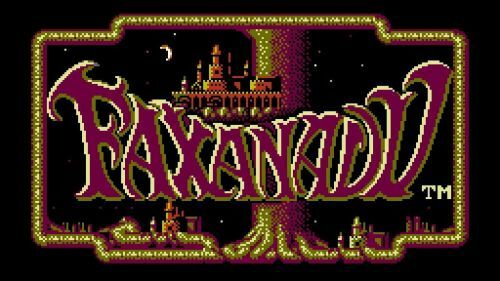 It was originally released for home computers, like the Commodore 64 and IBM compatible machines running MS-DOS. Eventually, it was ported over to the NES by Konami (under their Ultra Games label). It consisted of five different events - such as the freestyle ramp and high jump - and you could compete against eight other skaters. Considering the limited controls at the time, it was still a pretty fun game, especially in 1987, when skateboarding culture was just beginning to hit big. Interestingly enough, in 2002, Criterion Games was interested in bringing back the series for a release on the PlayStation 2 and Xbox. Unfortunately, they had a falling out with Electronic Arts, and the project was scrapped after a year of development. However, they dropped it in favor of the awesome Burnout 3: Takedown, so it wasn't a total loss. The potential: It hasn't been a great time for skateboarding games lately. Tony Hawk's Pro Skater 5 was a complete disaster, and EA hasn't released a new game in the Skate series since 2010. The pixel art Olli Olli games are really good, but some of us are really itching for a fully 3D skating experience. So, take the aesthetic and characters from Skate or Die!, put them in a really good skating game engine, do not let Robomodo anywhere near it, and load it with a bunch of cool, original characters. Set it in a post-apocalyptic or dystopian future world, to make the title even more literal.